Robert Ogden was born in Virginia in 1796 and moved to Warren County in 1815. He was a wealthy land owner with no wife or children. By his will he created a trust of $50,000 to create a school for white males. 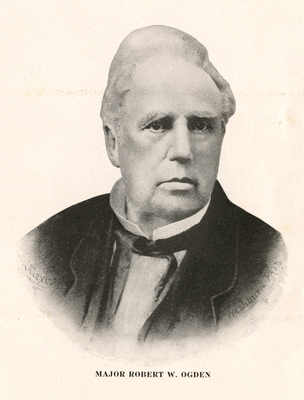 Upon Ogden's death November 10, 1873, his trustees fulfilled his wishes by purchasing the Calvert family property in Bowling Green and establishing the Ogden College.